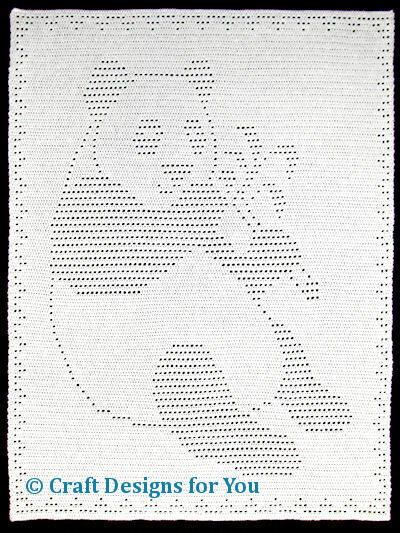 With an easy filet technique of all half double crochet, this darling panda snacking on bamboo makes a cheerful afghan! Made using 2,000 yds of worsted-weight yarn with an H/5mm hook. Finished size is 40" wide x 53" high.